Just like the e-commerce shopping experience, customers want instant, personalized and simplified information anytime anywhere from all industries and, more so from insurance. The traditional insurance industry has been resilient for a long time but digitization and disinter mediation has forced insurers to rethink the way they want to interact with customers. Virtual Assistants offer insurers a quick and easy way to serve customers and insurance agents anytime anywhere. Through virtual assistants, insurers can support insurance agents and customers by providing instant product information and allowing customers to quickly purchase insurance and redeem coverage at any time. 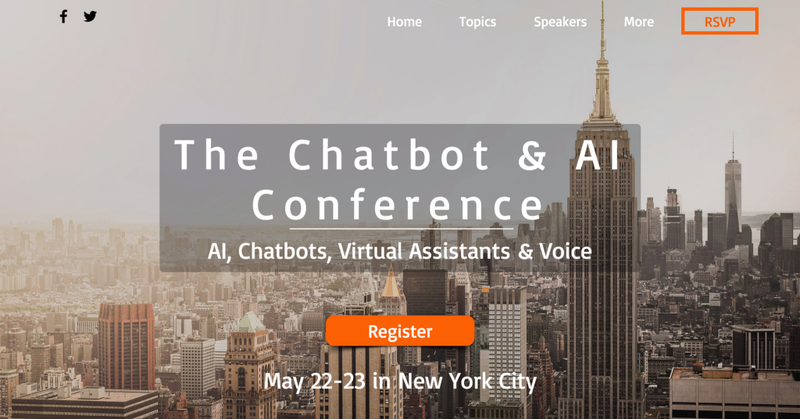 So far, most chatbots have been focusing on automating the claims process but now the focus is moving towards streamlining the end-to-end process and guiding customers using chatbots. AI-powered virtual assistants leverage NLP and deep learning to understand the underlying context and generate personalised human-like response. Here are twelve ways AI-powered virtual assistants transform the insurance industry, sooner rather later. Reduce customer confusion — According to a recent survey, 72 percent of consumers agree that insurance companies use confusing jargon. Chatbots can help reduce this confusion by simplifying insurance terms, explaining complex coverage and walking customers through the process step-by-step. Automate query management process without human intervention — Chatbots can collect information about the customer and the issue in real time and, process data to quickly solve the query. Improve lead generation & sales — Use chatbot as a channel to nurture leads and sell insurance. Using the CogniCor platform, a leading global insurance provider sells 2000+ automotive insurance policies on a monthly basis and the entire process starting from product discovery, premium calculation and the actual buying process is handled by the virtual assistant without any human in the loop. Support insurance agents — While interacting with customers, scouting for specific information on insurance policies on an enterprise portal is inefficient. Instead insurance agents can ask the virtual assistant questions and get responses quickly and, convert customers in real time. Underwriting recommendation — Evaluating risk profile is a long drawn and tedious process. Typically insurance agents collect information and go to the underwriter for approval. Chatbots can streamline the underwriting process and quickly assess risk of applicants. Streamline claims processing — With the use of AI, chatbots can automate claim processing without any human intervention thereby eliminating repetitive tasks, speeding up the claims process and decreasing cost per claim. Drive down premium costs — By analysing customer behaviour, chatbots can assess risk and drive down premium costs for low risk customers and penalise high risk customers. Product Recommendation — By analysing user profile, chatbots can offer personalised insurance products and customise coverage. In addition, chatbots can also embed cultural nuances to personalise customer interaction. Enable Product comparison — Customers can easily compare insurance products within the chatbot and make informed decisions. Seamless handoff to live agent — When the chatbot comes across a complex query, it can seamlessly transfer the chat to a live insurance agent in such a way that the live agent can pick up where the chatbot left off. Reduce handling time — Using machine learning, AI-powered chatbots can analyse past claims and predict which incoming claims will be time-consuming such as fraud or litigation, and flag them for proactive human intervention. 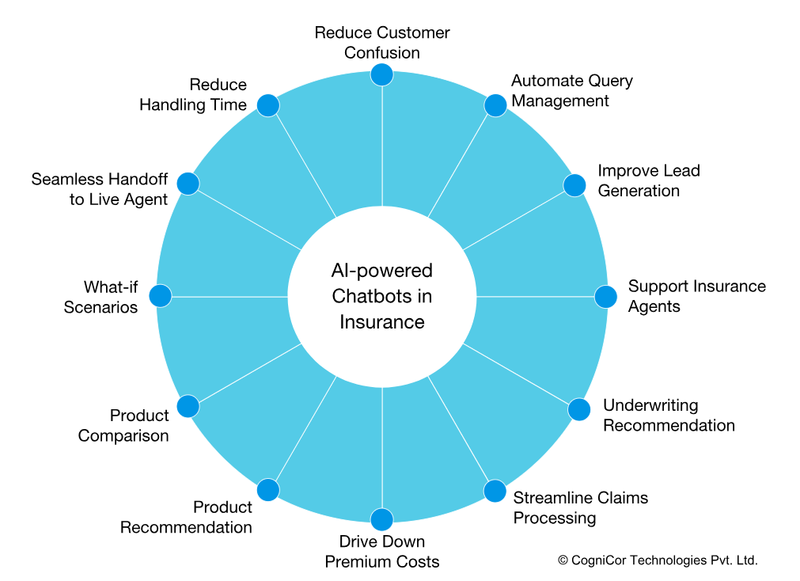 With the proliferation of AI and virtual assistants, insurance companies have a tremendous opportunity to reshape claims, distribution, underwriting, pricing and streamline customer experience. Customers expect brands to be omnipresent across multiple channels including mobile, Facebook messenger and eventually voice as well. Insurance chatbots need to be integrated across all the channels and make insurance ubiquitous.